I was born in the normal way in 1971, and vaguely remember half-pennies and sixpences. I have written for as long as I can remember: poetry, short stories and novels. Its what I always wanted to do and read English at London University with writing in mind. I taught English for seven years and was Head of English at St. Gregorys RC High School in London by the end of that period. I have enormous respect for those who still labour at the chalk-face. In truth, I cant find it in me to miss the grind of paperwork and initiatives. I do miss the camaraderie of the smokers room, as well as the lessons where their faces lit up as they understood what I was wittering on about. My mother is Irish and from an early age she told me history as an exciting series of stories with dates. My great-grandfather was a Seannachie, so I suppose story-telling is in the genes somewhere. My father flew in Bomber Command in WWII, then taught maths and science. Perhaps crucially, he also loved poetry and cracking good tales. Though it seems a dated idea now, I began teaching when boys were told only girls were good at English, despite the great names that must spring to mind after that statement. My father loved working with wood and equations, but he also recited Vitai Lampada with a gleam in his eye and that matters, frankly. Ive always loved historical fiction as a genre and cut my teeth on Hornblower and Tai-Pan, Flashman, Sharpe and Jack Aubrey. I still remember the sheer joy of reading my first Patrick OBrian book and discovering there were nineteen more in the series. I love just about anything by David Gemmell, or Peter F. Hamilton or Wilbur Smith. I suppose the one thing that links all those is the love of a good tale. Thats about it for the moment. 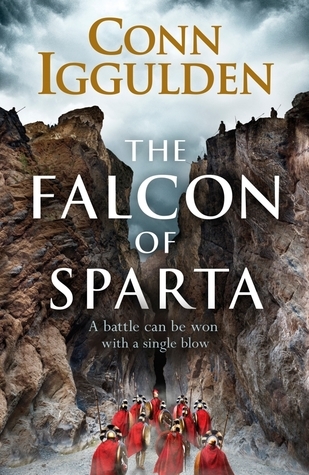 If youd like to get in touch with me leave a comment in the forum or you can tweet me @Conn_Iggulden. Ill leave it there for the moment. If youve read my books, you know an awful lot about the way I think already. Theres no point overdoing it.